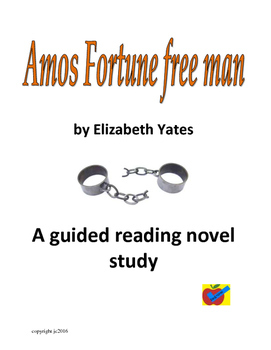 In this 56 page guided reading plan for the historical biography "Amos Fortune free man" by Elizabeth Yates, you will find everything you need to start your novel study. This biography is a great vehicle for teaching your readers how to use reading strategies, strengthen their vocabulary skills and polish up their answers to writing prompts. 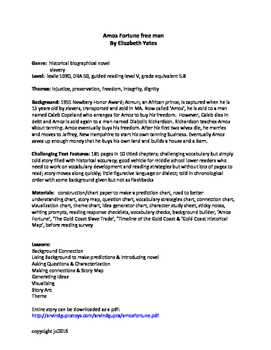 A nonfiction connection begins the study and how to develop theme ideas ends it. 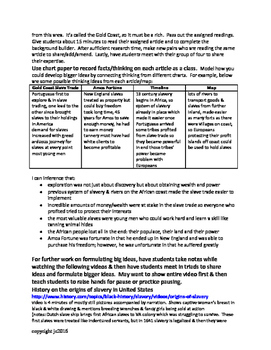 In between there are suggestions for discussion, charts to post, chapter summaries and handouts. 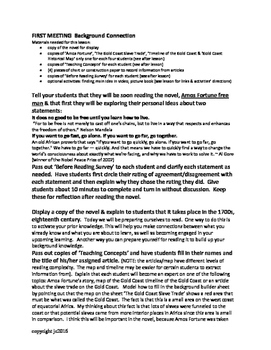 This unit stresses monitoring your own reading and formulating thoughtful text supported answers.